Garmin has just announced its new golf wearable, the Approach X40 band. 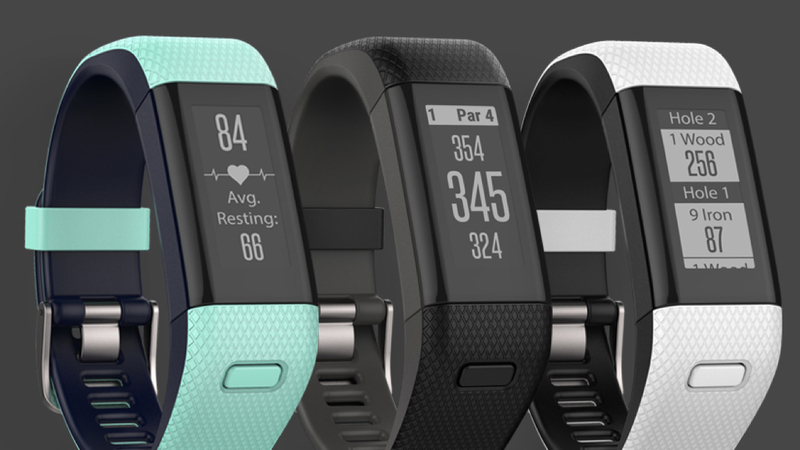 Essentially the ultimate fitness tracker for golfers, it blends GPS course data with a heart rate monitor. With a design that fits the Garmin Vivosmart family more than the existing golf range, the Approach X40 takes the form of a fitness tracker, with a thin 1-inch touchscreen display. As with most of Garmin's range, it features information on 40,000 courses to offer distances to the front, middle and back of the green as well as lay-ups, hazards and dog-legs. And much like the Garmin Approach S20, it also uses an AutoShot feature to register the location of your hacks around the course, which will be fed back to Garmin Connect after your round. However, it's the non-golf features that really make the Approach X40 interesting. Garmin has added its own optical heart rate monitoring technology into the band, turning it into a powerful fitness tracker. In addition to heart rate, the band will also track steps and ping you with smart notifications. "We're excited to introduce our new Golf GPS in the form of a slim and sleek band, bringing more style and fun to the game," said Martin Resch, senior product manager of golf at Garmin. "The Approach X40 is the perfect all-in-one solution for golfers who want to know all the distances on the course and track wellness data 24/7 without the hassle of switching between multiple devices." It's another example of Garmin blending technologies and attempting to make its specialist sport tracking tech more useful to users when they're not playing. The Approach X40 will be available in Q2 2016 and comes in black, white, blue, and green. It will cost $249.99.